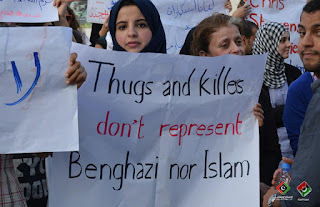 Eleven years after the most devastating case of terrorism on American soil, armed rioters in Libya attacked and killed the nation's US Ambassador. That's the tagline, anyway. That's what the soundbites and tweets say, and believe me, I've been listening and reading. When I looked into it a little deeper, though, was when the true tragedy reared its ugly head. 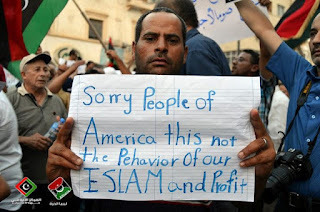 Following the death of Muammar Gaddafi, Libya as a nation was left on very unsturdy legs. The people had only just finished their revolution; there was no real central government any more. Blood was on the streets. Americans had a lot to say about the African nation--would it become a democracy, would it become an enclave of militant Islam, would someone else just come and fill the power vacuum? Was the revolution good, was it bad, and what did it mean for us? One man, though, made his opinion quite clear: Christopher Stevens, the American ambassador, thought the Libyan future looked very bright. The Daily Beast ran several articles today (including this one) detailing Ambassador Stevens' dedication to the idea that Libya could become something admirable, that it could be more than just some ruined revolution, another failed state. 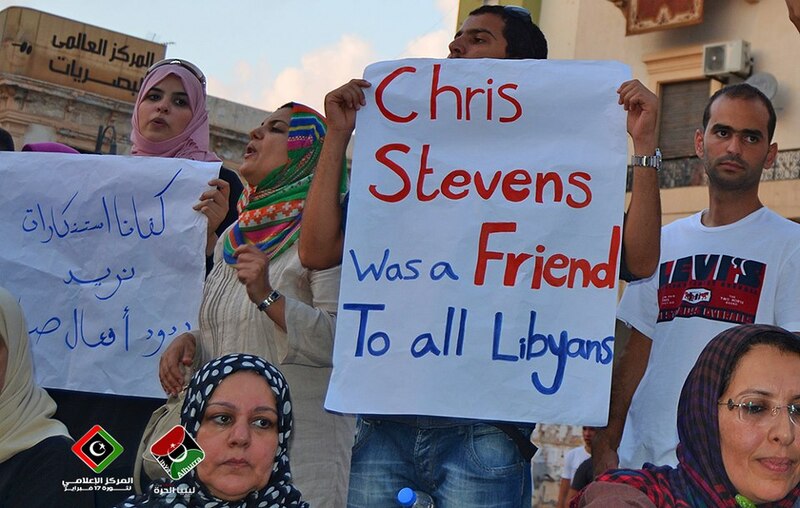 Stevens was one of the best friends Libyan democracy had. Compare him to whoever created "Innocence of Muslims," the poorly acted, zero-budget blue screen nightmare that not only lampooned Islam, it went out of its way to commit sacrilege against it. I'm not going to link to it. You can find it easily enough on other sites. Whoever the coward was that created it, though, they probably didn't have the foresight to predict what fallout would come from it. Rioters stealing the American flag from the American embassy in Egypt. 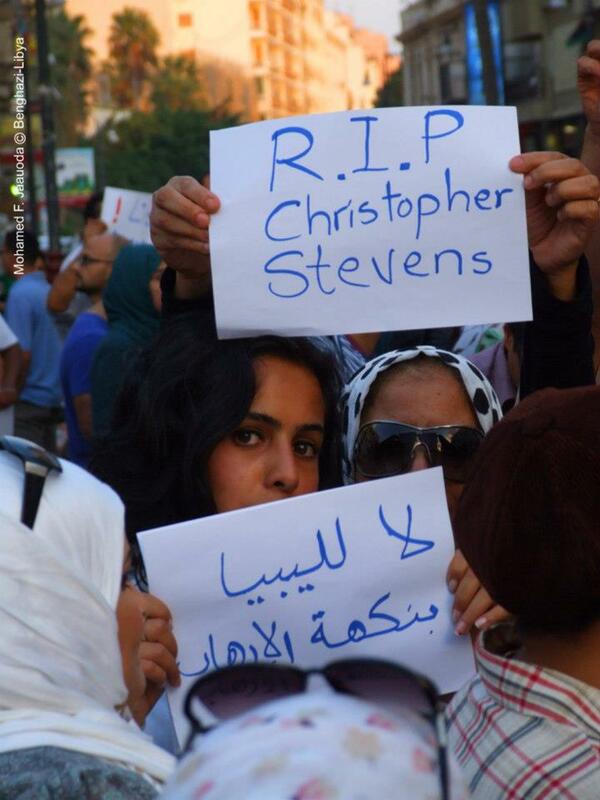 Rioters killing Christopher Stevens. What blows my mind is the absolute maelstrom of malice from so many sides. The bigoted moron who made the video, for one; the murderous, mindless rioters, for another. Today was not a good day for my view of humanity. I don't know the story behind these pictures; I don't know if this was widespread or localized, or even if it was staged, but in any case, the series of pictures on that website reinvigorated my rapidly depleting faith in humanity. Yesterday was a dark day, but tomorrow looks a little brighter. Well said. My initial reaction to this mess has been to feel anger toward certain presidential hopefuls who crassly exploited the tragedy for political gain, but upsetting as that is it's myopic to focus on it. People are dead, and the situation over there is far more critical than the sniping about it here. 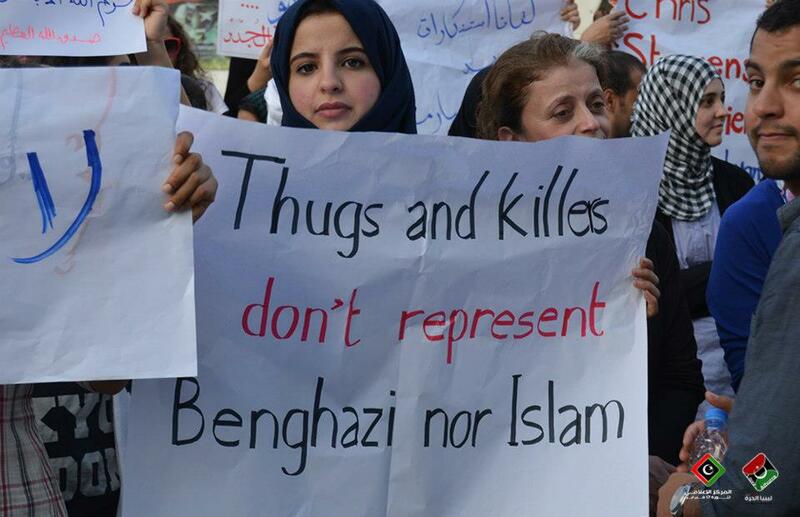 It's good to see such decency, and I hope that the sign-holders speak for many others as well. Thanks for putting this together. I really appreciated this post. What a great reaction to a tragedy. I can only hope it gets better from here.